VANCOUVER — The Columbia and Willamette River fleets for Christmas Ships will begin on the evening of Nov. 30. Boats from 14 to 65 feet-long, will begin their cruise in North Portland Harbor, sailing down the Willamette. Close to 60 vessels are anticipated to comprise the Willamette and Columbia fleets. 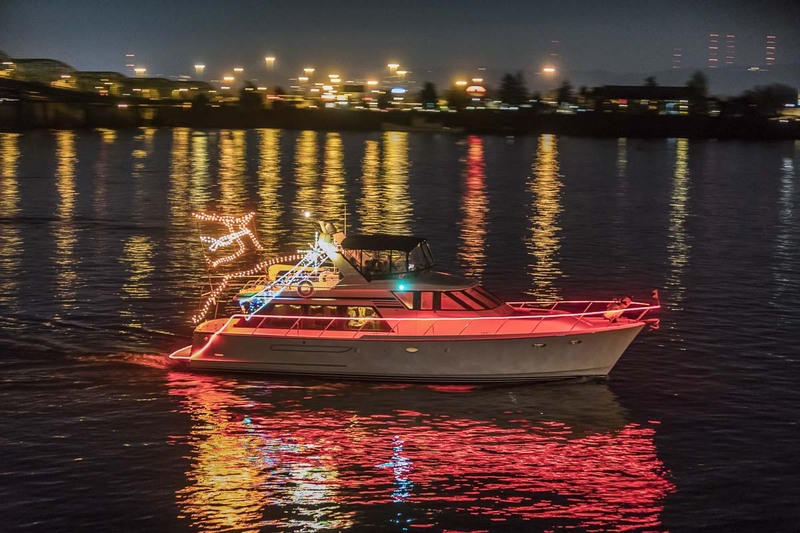 This is the 64th year of operation for the volunteer fleet of boats covered in Christmas lights and holiday decor. The original Christmas Ship was a lone sailboat in 1954, that set our with green and red decorations in December. All the costs of creating the floating display are paid by the individual boat skippers and their families. Donations are collected by the organization to maintain the event and promote. Boat owners come from Portland, Vancouver, McMinnville, Hood River, and even Salem to participate in the celebration, with many doing it for over 20 years. There is no cost to watch the parade, and many hotels and restaurants along both rivers have set up special times and events to coincide with the ships passing by. 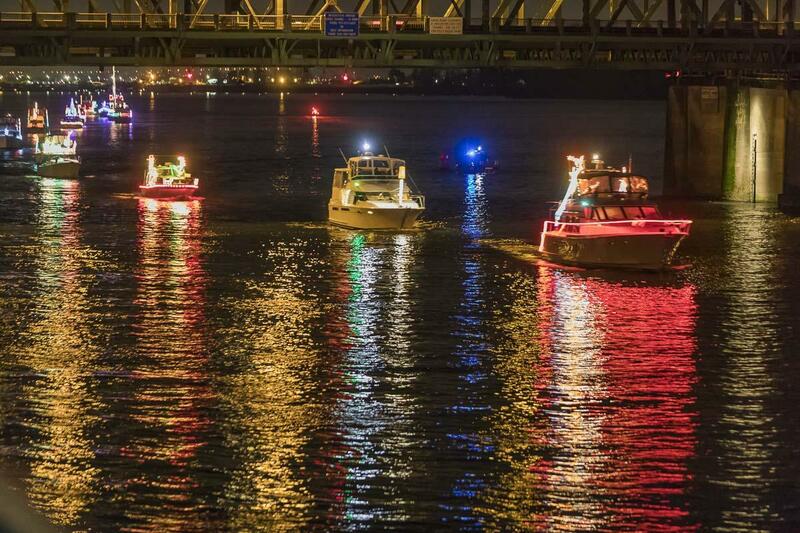 The best days for Clark County residents to view the twinkling fleet will be Dec. 5, 12, 14, 18, and 20 for Vancouver and Dec. 1 for Camas and Washougal, with the combined fleets. All Vancouver shows begin about 7 p.m. with the eastside show beginning at 6 p.m.
For more information on the ships, skippers, donations, and t-shirts, visit www.christmasships.org. To see a full schedule of the ships, check out the calendar.